When I was in graduate school I spent a lot of time reading about the technological sublime. That feeling of overwhelming fullness, sensory overload, you get when standing beneath awe-inspiring feats of human engineering. Crafted and designed by human hands these structures stand as a counterpart to the natural sublime that comes when beholding formations like the Grand Canyon and Chimney Rock. When I stand at the edge of a city, I perform the same action, over, and over again. I close my eyes, open them and let my gaze sweep along the horizon, pinpointing the tallest structure I can see. Then click. Snap. 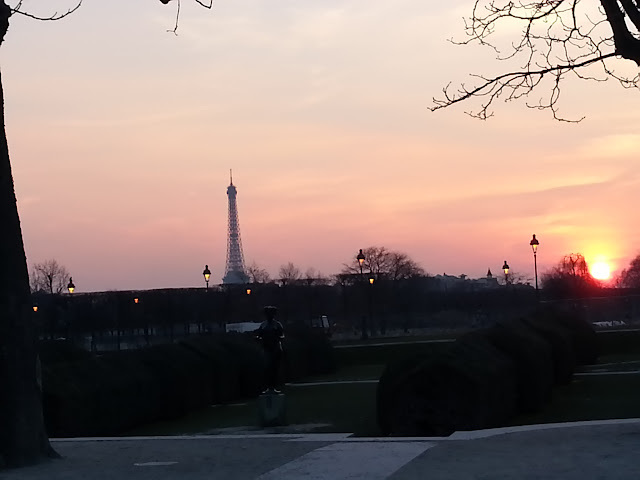 I take a picture. Last week I wrote a piece for work that describes my habit of framing cities by the towering man-made structures that loom over them. In that piece I describe how that height only gives one perspective, limiting your ability to see detail. However, this idea of the sublime, that feeling of powerful insignificance that we as humans can feel when marveling at something so much larger than life, is what led to my “tallest building” fascination. From afar you feel like you can pinch these structures between your thumb and forefinger (or jump over them, as so many tourists do). Up close they….tower providing a different perspective. As enormous as these buildings are the minds and hands that conceived, designed, and built them were individuals just like us–who dreamed big and made it happen. 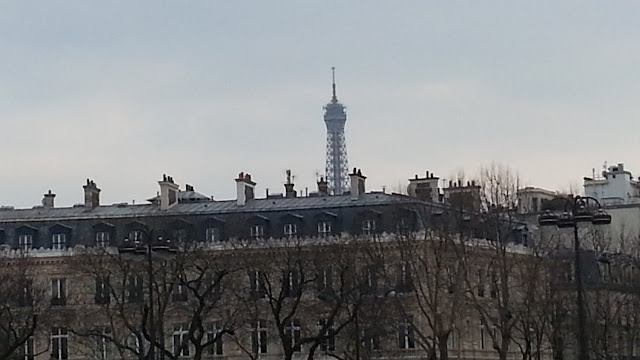 When I was in France this past spring my building of choice was La Tour Eiffel (the Eiffel Tower). Created for the 1889 World’s Fair in France it was meant to be removed and dismantled in 1909. Instead because of its use as a telecommunications tower it remained standing, and became of critical importance during both World Wars. 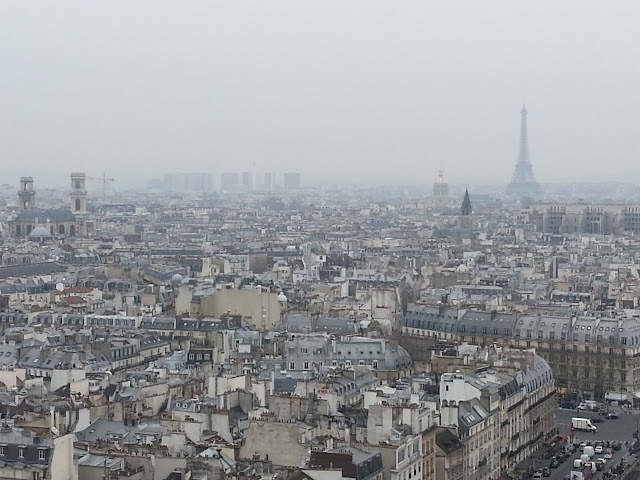 Today, at over 1000 feet tall, it stands over a Paris of blue lined roofs and monuments to revolutions and wars. What do these buildings have to say about who we are and our need to reach up, up, up and touch the sky? In planes we are spirited across the heavens without a fixed line to the ground. These buildings are tethered, giving us that link between sky and earth. My fascination with tall buildings was in full effect eight years ago when I spent three months in London. While there I ended up taking photo after photo of another structure designed to mark a milestone: The London Eye. Built for the Millennium it stands on the banks of the Thames representing the turning of time. Essentially a giant Ferris wheel (and by no means the most exciting or interesting place to see in London) the spinning circle and the simplicity of its constant movement provides an element of beauty when dusk settles and the lights click on. What I like most about the Eye is that it is playful. Against the classical buildings of the past it speaks to a different era, indicating passage of time in terms of design and architecture. Perhaps one of the best examples of just how amazing these structures are is an event that occurred at the Washington Monument in DC. For the past few weeks, creeping slowly up the monument’s side were the horizontal and vertical beams of scaffolding to allow for much needed repairs following an earthquake. Nearly finished, the Secretary of the Interior, Sally Jewell experienced a line sight often only limited to the birds when she climbed up the scaffolding to the tippy top…from the outside. In those images you could see the city below. One individual linked to the ground with fingertips brushing the sky. All pictures by Priya Chhaya.